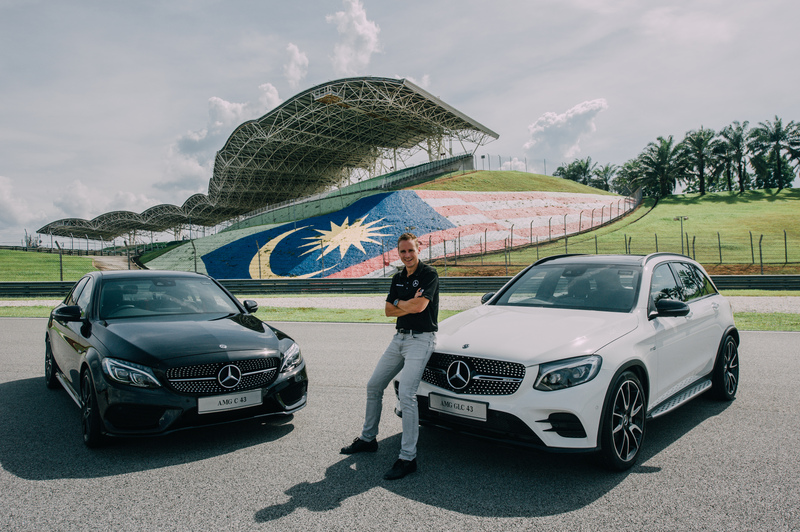 The AMG C 43 comes with a 3.0-litre V6 Biturbo engine that comes with technological advances like a modified boost pressure to increase the engine’s power output and torque. With 270kW and 520Nm, the engine puts itself in a new segment on its own. 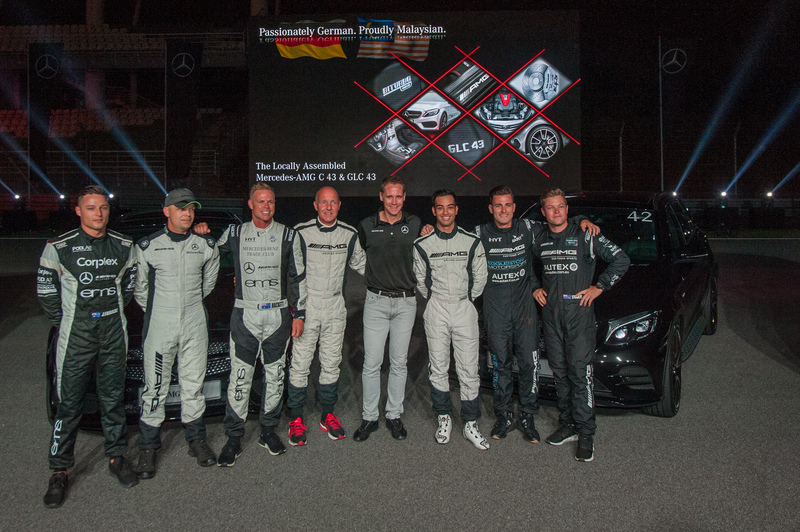 AMG developers have also manded to reduce the shift times of the 9-speed transmission. Multiple downshifts allows for a faster short burst of speeds while the double-declutching function in Sport and Sport Plus modes makes for a more exciting driving experience. If drivers what control back in their hands, the Manual mode will allow drivers to change the gears using the paddles on the steering wheels. The interior of the car gives an authentic sports car-like atmosphere, with multifunction sports steering wheel and flattened bottom section, sports seats and an exclusive AMG instrument cluster with AMG menu. Sports seats upholstery layout offer long-distance comfort and brace the passengers during dynamic cornering. The GLC 43 also comes with a 3-litre Biturbo engine that is used in many AMG models. It delivers 270kW output and a maximum torque of 520-Newton meters. This allows the car to achieve 0 – 100km/h in just 4.9 seconds with a top speed of 250km/h. Mercedes has included a 9G-TRONIC auto transmission, reducing the shift time of the 9-speed transmission and comes with the Sport and Sport Plus mode seen in the Mercedes-AMG C 43. To give the SUV it’s agile cornering, Affalterbach developers designed an autonomous sports suspension on the basis of the AIR BODY CONTROL air suspension. The suspension can be adjusted in three stages, Comfort, Sport and Sport Plus, offering high comfort on long journeys and sporty driving dynamics. 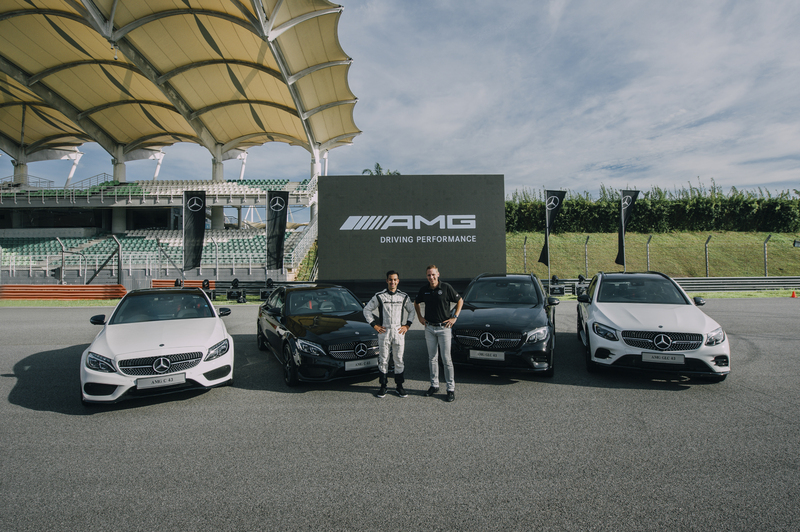 The 4MATIC standard-fit all-wheel drive is characterised by the rear-biased torque distribution of 31 percent at the front axle to 69 percent at the rear axle. This offers more driving dynamics and higher lateral acceleration on the road plus improved traction during acceleration. The interior of the SUV is designed especially for a committed driving style. The multifunction sports steering wheel in black leather features a flattened bottom section and red contrasting topstitching. Driver and passenger will be securely positioned in the sports seats even when driving at high speeds thanks to the improved lateral support. There is also a 5.5-inch AMG instrument cluster and two large dials places all the important information in the driver’s field of vision. 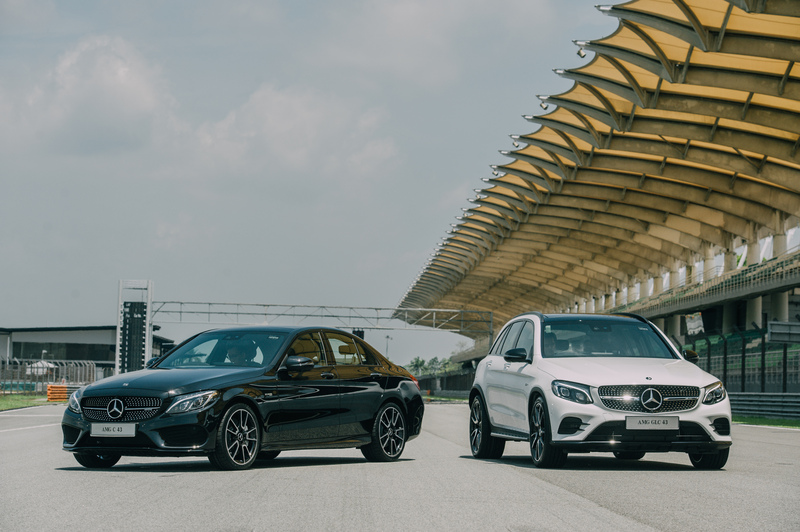 Both the Mercedes-AMG C 43 and the Mercedes-AMG GLC 43 4MATIC will be priced at RM408,888 and RM468,888 respectively and can be viewed at showrooms today.